Tanzania /ˌtænzəˈniːə/, officially the United Republic of Tanzania (Swahili: Jamhuri ya Muungano wa Tanzania), is a large country in Eastern Africa within the African Great Lakes region. Parts of the country are in Southern Africa. It is bordered by Kenyaand Uganda to the north; Rwanda, Burundi, and the Democratic Republic of the Congo to the west; Zambia, Malawi, andMozambique to the south; and by the Indian Ocean to the east.Kilimanjaro, Africa’s highest mountain, is in northeastern Tanzania. Tanzania’s population of 51.82 million (2014) is diverse, composed of several ethnic, linguistic and religious groups. 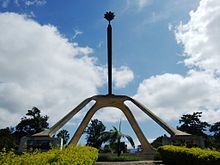 Tanzania is a presidential constitutional republic, and since 1996, its official capital city has been Dodoma, where the President’s Office, the National Assembly, and some government ministries are located. Dar es Salaam, the former capital, retains most government offices and is the country’s largest city, principal port, and leading commercial centre. British rule came to an end on 9 December 1961, but for the first year of independence, Tanganyika had agovernor general who represented the British monarch. On 9 December 1962, Tanganyika became a democratic republic under an executive president. After the Zanzibar Revolution overthrew the Arab dynasty in neighbouring Zanzibar, which had become independent in 1963, the archipelago merged with mainland Tanganyika on 26 April 1964. On 29 October of the same year, the country was renamed the United Republic of Tanzania (“Tan” comes from Tanganyika and “Zan” from Zanzibar).The union of the two hitherto separate regions was controversial among many Zanzibaris (even those sympathetic to the revolution) but was accepted by both the Nyerere government and the Revolutionary Government of Zanzibar owing to shared political values and goals. In 1967, Nyerere’s first presidency took a turn to the left after the Arusha Declaration, which codified a commitment to socialism as well-as Pan-Africanism. After the declaration, banks and many large industries were nationalised. The Arusha Declaration was made by Tanzanian President Julius Nyerere on 5 February 1967, outlining the principles of Ujamaa (Nyerere’s vision of socialism) to develop the nation’s economy. 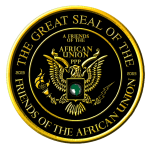 The declaration called for an overhaul of the economic system, through African socialism and self-reliance in locally administered villages through a villagization program. During this period Tanzania was also aligned with China, which from 1970 to 1975 financed and helped build the 1,860-kilometre-long (1,160 mi) TAZARA Railwayfrom Dar es Salaam to Zambia. Nonetheless, from the late 1970s, Tanzania’s economy took a turn for the worse, in the context of an international economic crisis affecting both developed and developing economies. From the mid-1980s, the regime financed itself by borrowing from the International Monetary Fund and underwent some reforms. Since then, Tanzania’s gross domestic product per capita has grown and poverty has been reduced, according to a report by the World Bank.